The U.S. Air Force has awarded Raytheon (NYSE: RTN) a $141.4M contract option to manufacture a fifth batch of air-launched, precision-strike glide bombs. 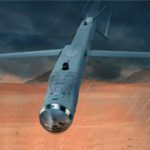 Raytheon’s missile systems business will produce 1.2K Small Diameter Bomb II munitions, 389 single-weapon containers and 344 dual-weapon containers, the Department of Defense said Tuesday. The exercised option also includes 20 demonstration effort captive vehicles and tests, as well as 36 weapon load crew and munition maintenance trainers. Low-rate initial production of lot 5 SDB II units will take place at a company facility in Tucson, Ariz., and is scheduled to be completed by June 30, 2022.